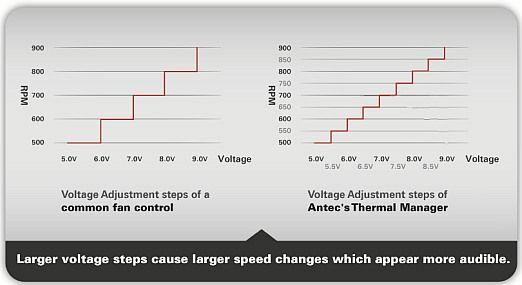 Trust on Antec's Continuous Power - Don't be fooled! Even though we don’t like to admit it, but not all power supplies (PSUs) are created equal. Whenever buying any new product, the first thing any consumer does is look at the price; most people think that the higher the price, the better the quality, but ufortunately, this does not always ring true for PSUs.The most important factor to look for in a PSU isn’t the price, it’s what’s inside the PSU that counts. Most PSUs advertise the wattage they deliver during their peak; in other words, if a PSU is labelled as using 500W, it only uses 500W maximum for a few (milli)seconds before its wattage decreases otherwise it risks overheating, short circuiting, or other kinds of damage. With Antec’s PSUs, we always use Continuous Power, power a PSU can maintain for prolonged periods of time. When we label a PSU as using 500W, it delivers 500W of stable, continuous power to your system without straining over expanded periods of time. In the PSU market, there three different PSU types you should be aware of. 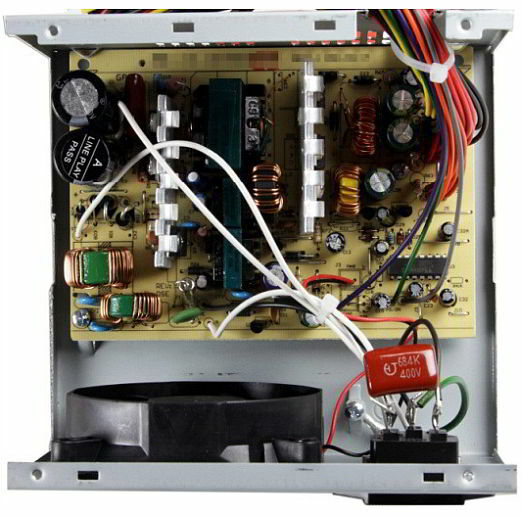 Listed below are the types of PSUs you should be looking out for. 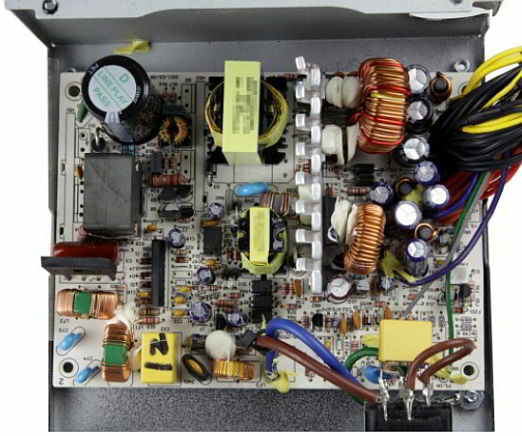 The worst offenders of the PSU market are the ones that that don’t follow through with their advertised wattage. 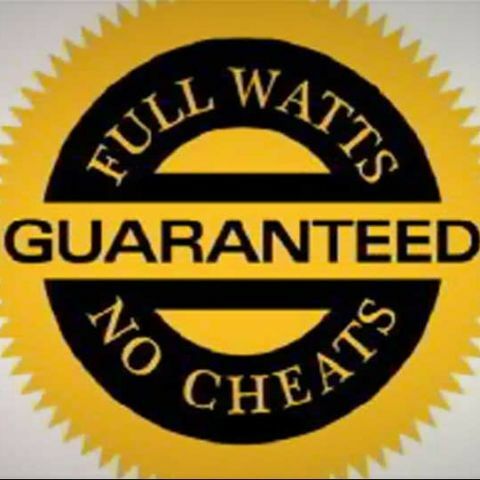 These over-rated PSUs always falsely advertise a higher wattage than they actually use; for example, one PSU may claim to give your system 500W but will actually only give an output of 200W! As you can see, their capabilities are massively over-rated and not worth a cent of your money! A PCB of a totally over-rated PSU, lacking many of the most basic components, necessary to enable its labeled output of 400W. While not as bad as Over-rated PSUs, Peak-rated PSUs are not made for hours of prolonged use. These PSUs may claim to be 500W on their packaging, but in truth, they may only offer 400W through hours of expanded use. In truth, these PSUs are measured by the wattage they receive at their peak; in other words, they only achieve their advertised wattage for mere (milli)seconds. Some PSUs are somewhere in between being Over-rated and Peak-rated while others are close to being Continuous-rated. A PCB of a Peak-rated PSU. Already a quantum leap ahead of the previously shown Over-rated PSU. These are the ideal PSUs on the market and the ones that Antec solely creates. Unlike Over-rated and Peak-rated PSUs, Continuous-rated PSUs continuously work at the advertised wattage for prolonged periods of time. In other words, if a Continuous-rated PSU is advertised to work at 600W, then the PSU will deliver your system 600W of stable power during prolonged use. If you’re looking to get your money’s worth, then a Continuous-rated PSU is the best option for your system. More & stronger components are used on this VP450P to assure continuous output. Unfortunately a lot of stores won’t let you open or test a PSU before you buy it, but there are other ways you can tell if a PSU is good or not by looking for a few things from the outside. Check out the below content to learn the tricks, the differences, and the benefits of getting a Continuous-rated PSU. Bigger is better, at least when it comes to a PSU’s weight. Generally if a PSU has a lot of components, it will weigh more than one that doesn’t. The more components, the better the PSU. *There are a few exceptions to this rule like 80 PLUS® PLATINUM certified products which use more lightweight components due to their technologies. *Over-rated & Peak-rated PSUs tend to state older ATX12V revision numbers. With little time to read, it’s safe to assume that the more info you see on a PSU box, the better. You should skim through the info in your native language and make sure it’s grammatically correct to be safe though. It’s not a literary masterpiece, but it’s what you want to look for in a PSU box. vs. With bare bones descriptions, it makes any writer sad. With all the info in 4 languages, you can start learning a foreign language or two. VS. With only the warning in 4 languages, it’s going to be harder to pick up French anytime soon. And there you have it ladies and gentlemen, the basic tricks on how to look for a new PSU! Trust us, it’s easier than it looks. You shouldn’t buy a new car because of its looks as it might break down after only a month. The same can be said with PSUs. Aside from components, there are other features that set apart Continuous-rated PSUs from the rest of the competition, and these features can determine how long your PSU might be around. Did you know that a fan’s speed affects the noise your PSU makes? If that’s the case, doesn’t that mean it’s impossible to have a quiet PSU because without a fan, the PSU is going to overheat and kill your whole system. Actually, it’s the change in voltage that causes the PSU noise; sudden changes in the fan’s voltage make the PSUs fan grow louder when its speed increases. Now if you want a quiet PSU, you’ll want one that gradually increases its voltage and speed over time, such as Antec’s renowned Thermal Manager. 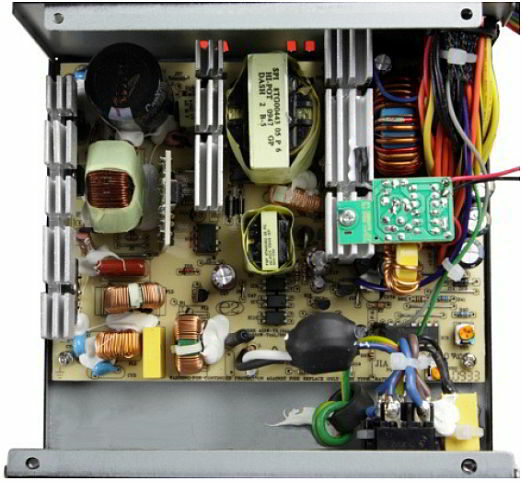 With this feature, a PSU’s fan gradually increases its voltage as it picks up speed, allowing it to sound more silent. What you get from this is a pretty quiet PSU without the risk of it overheating. Pretty cool, huh? You wouldn’t throw away money, but a lot of people do it every day because of the PSU they use. If you want to get the most efficient PSU, look for one that has 80 PLUS® certification. Under this efficiency certification, such PSUs lose less than 20% of energy while converting AC current to DC current and thus have at least 80% of power for your PC, saving you money on your electric bill. Unfortunately, this program tests only PSUs, which can operate at 115V. Therefore, any PSU which operates only at 230V cannot be certified, no matter how efficient it is. For example, our VP450P meets the 80 PLUS® STANDARD requirements, but cannot be certified as such. PSUs, which can operate at both input voltages (110V/115V & 230V), are called universal input PSUs and are typically more expensive than single input PSUs. Older single input PSUs tend to be inferior to universal input PSUs, but newer ones are similar. Nobody likes it when they’re lied to and neither do we. That’s why here at Antec, we deliver on the promises of our products; if one of our PSUs advertises 400W, then it will give your PC 400W. Don’t just take our word for it, our users agree by awarding us with the lowest RMA rate for the last two years running. Who says a computer has to be noisy and shouldn’t last? We at Antec don’t; we think your computing experience should be silent and leave you at ease. We continue to be the global leader of computer components thanks to our Quiet Computing philosophy and features like CircuitShield and Thermal Manager. If you want power then we’ll give it to you, no strings attached. The wattage you see is the wattage you’ll get. 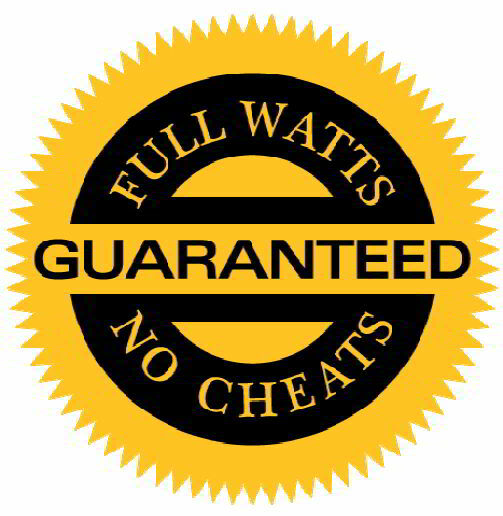 From all of us at Antec, we guarantee all our products are FULL WATTS GUARANTEED, NO CHEATS! Follow the official Antec India Facebook page and Antec YouTube channel for up-to-date information and product videos.